The dark lords are gathering, ancient powers are awakening, and a chill has fallen across the land. Now is a time of danger and rising evil. Now is a time of fear for the innocent and the helpless. Hey folks! Welcome to my latest gaming blog! Today’s entry is a very special one for me, because it’s one of my all-time favourite games ever made. 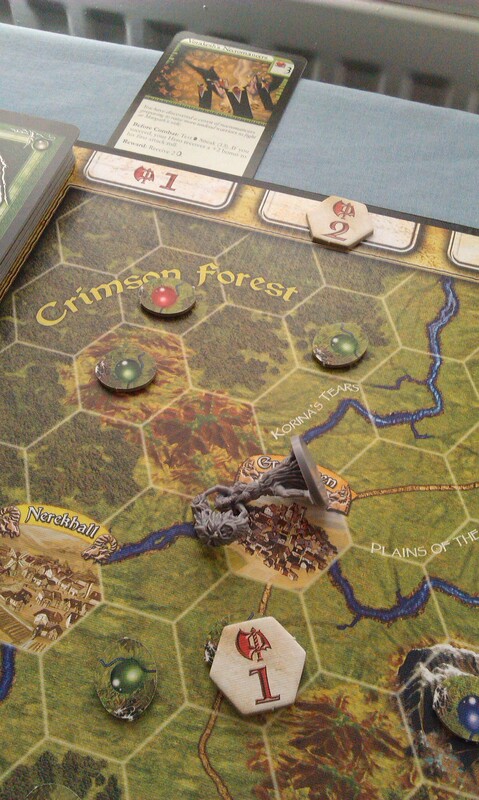 It’s a fantasy adventure board game for 2-6 people who have way too much time on their hands – it’s Runebound! 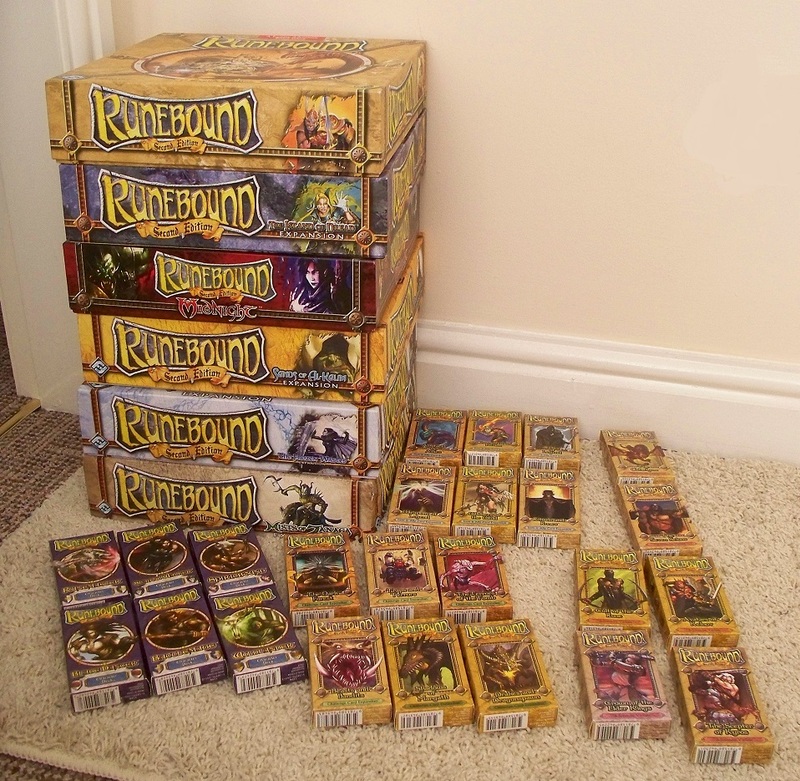 First released all the way back in 2007 by Fantasy Flight Games, Runebound is a high fantasy adventure game where the players take on the role of heroes trying to rid the land of Terrinoth from the evil of the Dragon Lords. The worst of them all, High Lord Margath, has been returned to the land by the evil of the necromancer Lord Vorakesh, and it’s up to you to stop him! The game is awesome. I first played it with the now-ex girlfriend in 2008, and was just bowled over by the amount of theme that comes out of it. The whole production is just fantastic, I cannot recommend it enough! The unfortunate thing is, however, it’s been out of print for a while now, leading to speculation that a third edition might be on the way (there was, way back when, an abortive first edition that didn’t make it past the first small expansion pack). If you can find a copy, PICK IT UP! And bask in its awesome! (The thought occurs to me, now, that a lot of people probably won’t be able to find this game because of its rarity. I just want to say that this post isn’t meant to make people jealous, but rather act as a tribute to a game that I really, really love). It’s a sign of just how much I love this game, I feel, that I actually own everything for it. Over the course of three years, a series of five big box expansions came out, alongside which came four sets of six smaller expansion packs, as seen above. 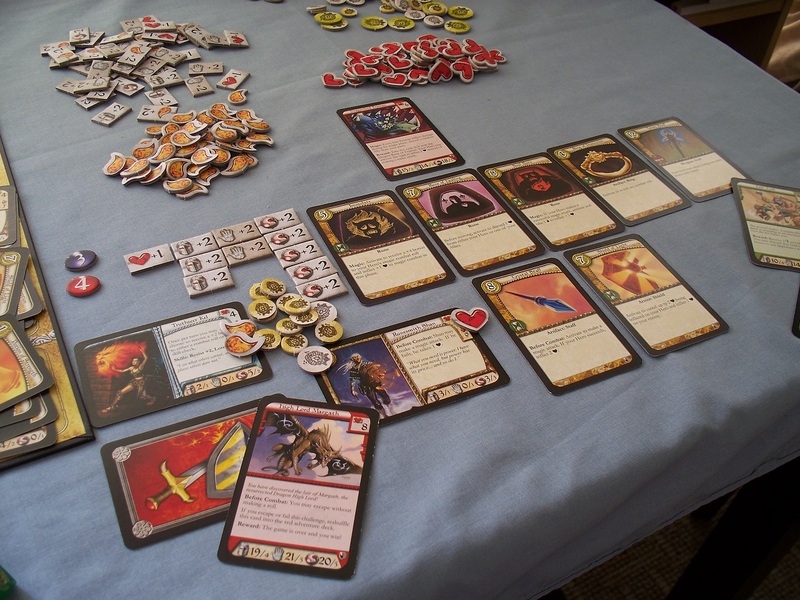 The first set of these smaller boxes adds more items and allies you can purchase, the second adds more to the encounter decks, the third completely replaces the encounter decks, and the fourth are ‘character packs’ that bring even more of a RPG-element into the game, allowing you to level your chosen hero in all manner of ways. So let’s take a look at this game. 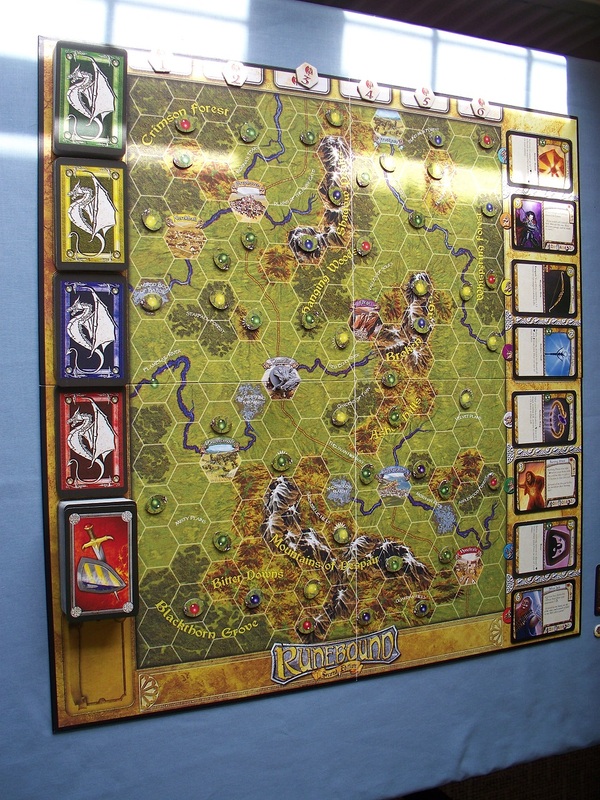 It’s an adventure board game, which means the hero character that you choose at the beginning travels around the board encountering various monsters, levelling up in order to encounter increasingly difficult monsters before the game is resolved by either beating the most difficult monster of all – High Lord Margath himself – or defeating three of the tough monsters. There are four encounter decks, with difficulty ranging from easy (green) to tough (red). As well as monsters, there are events that can either be good or bad, and encounters, which usually test one of your hero’s skills or act as a sort of mini-quest. The heroes all have three attributes: mind, body and spirit, which also act as combat stats (ranged, melee and magic, respectively). Heroes are usually good at one and not so good at the other two, to varying degrees. In addition, the hero has one or two particular skills which add bonuses to certain attributes during skill tests. The hero I’m playing above is Truthseer Kel, a promo hero not in the base game and for years one of the most difficult-to-find parts of the game. I’d wanted her for so long because of the absolutely amazing miniature. 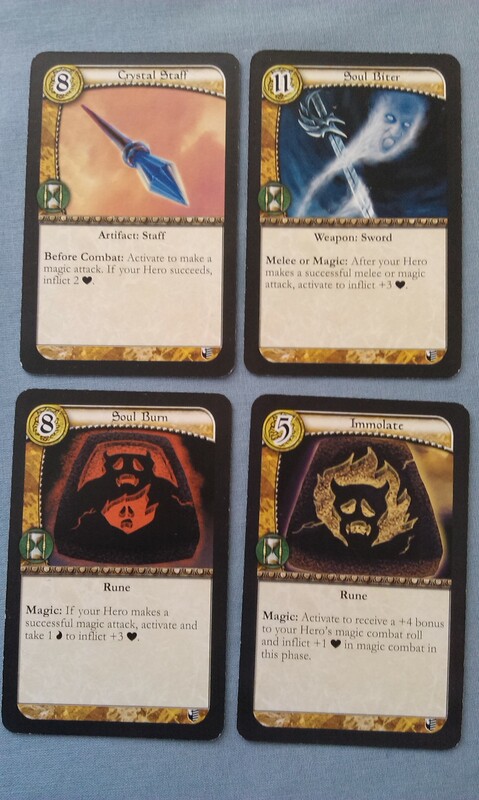 Anyway, the attributes are arrayed along the bottom of the card, with the larger number denoting the bonus to that attribute, and the smaller number the value of combat damage you inflict with that hero. In addition, there is a special effect at the top, and the skills in the middle. Kel’s life value is in the top right, and her exhaustion value underneath; heroes might be caused to take exhaustion which slows them down by making them roll less dice for movement. And what delightful dice they are, too! 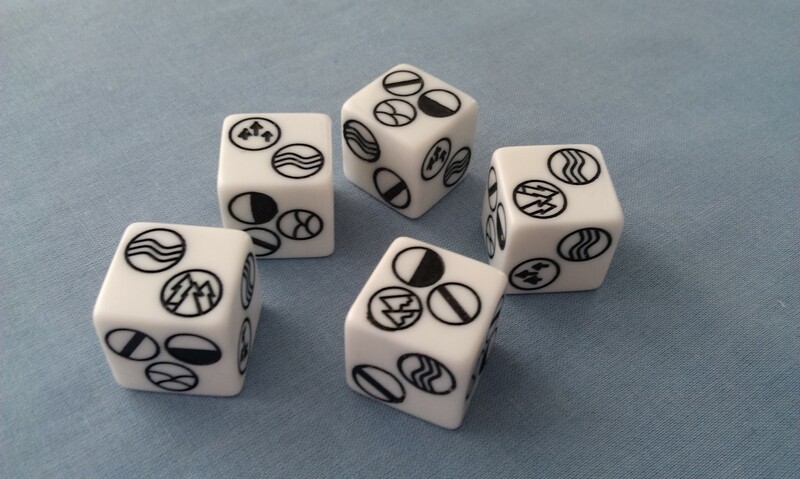 The icons represent the types of terrain your hero can enter on his turn; only one icon per die is chosen, and if you’re exhausted you roll one less per exhaustion counter. The icons for roads, plains and hills generally occur more often; the mountains and rivers, less often, and the swamps and forests, rarer sill. There are also nine town spaces on the board, the Free Cities of Terrinoth, and you can use any symbol on the dice to move into them. In towns, you get to heal, as well as buy items or the services of allies. But how do you get the money to do this? Well, you get gold from defeating challenges. Most will give at least one gold, though as you scale up, and some will provide other benefits along the way. To defeat challenges, you must go through all three phases of combat, though you can yourself only attack in one of those phases (there are items that allow you to attack in two phases, however). For the other two phases, you must defend; either way, you roll two d10 dice and add your attribute value to the result – if you equal or exceed the challenge’s value, you succeed. If you fail, you take however many wounds the challenge dishes out. 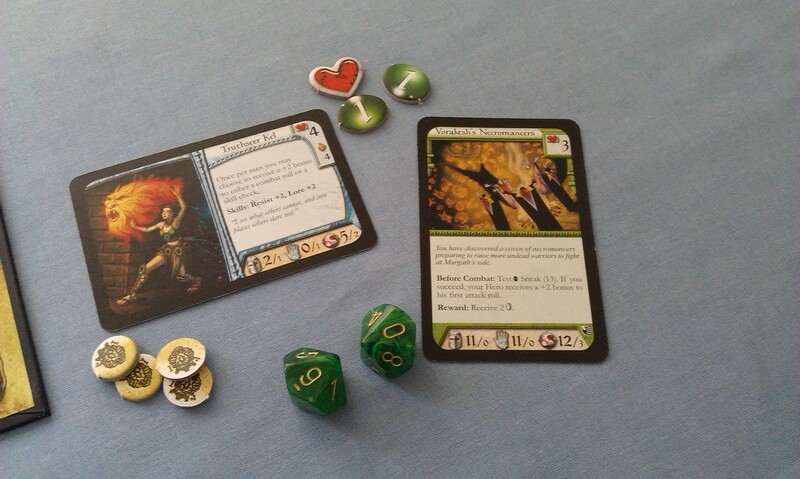 In the above picture, Vorakesh’s Necromancers only deal damage in the magic phase – as I’m also attacking in the magic phase, I get to make my attack but if I don’t succeed, I take the damage as if I’d failed to defend. 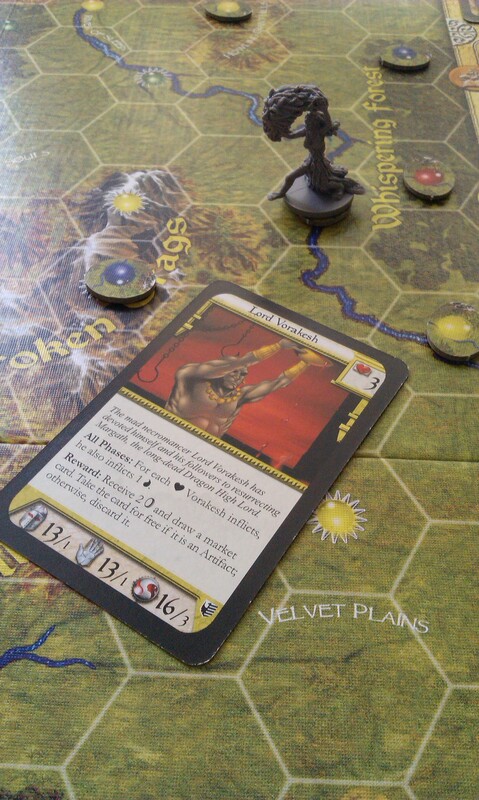 As it happened, I failed to defeat the Necromancers, and their damage equaled my life value, so I’m knocked out. I go to the nearest city and lie down, because I need to recover, obviously! 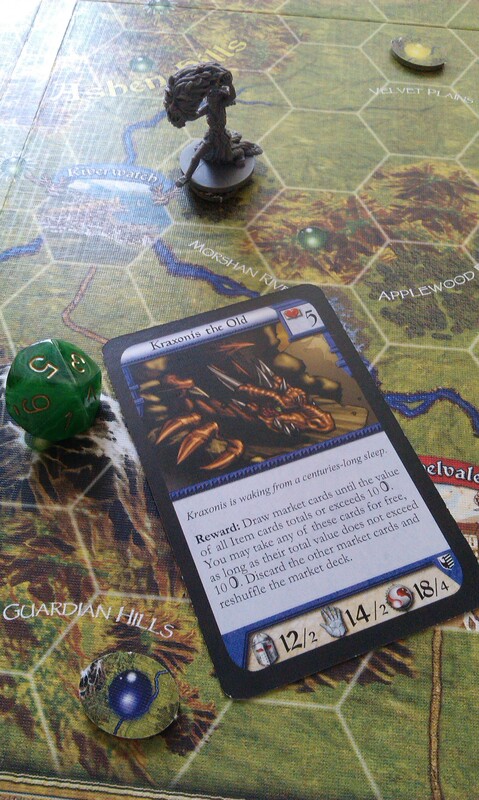 The challenge card then goes along the top of the game board – the Undefeated Challenge track – and a marker is placed on the hex where that challenge is. In later turns, I can go back for revenge – which is exactly what I did! As the game goes on, though, you get to buy stuff in the towns to help in your quest to defeat Margath. Items and allies range from the cheap, kinda-handy stuff to the more expensive, really useful stuff. It’s a good strategy to buy allies as soon as you can, because allies allow you to effectively attack in a second phase of combat. You can have a maximum of two allies (allowing you to attack in all three stages of combat), as well as two weapons (one in each hand) and one item of armour. Within the market stacks, however, there are also artifact items that don’t appear to count towards that limit. Such items include runes (given the game’s name, this might not be entirely unsurprising! ), which do all manner of things, from buffing your attacks to healing you and your allies. When I play Runebound, I usually like to play a magic user, just because that’s kinda my thing. When I’m doing this, there are certain cards that I will go after that can set up a tremendous chain of buffing my attacks, and have frequently allowed me to defeat really massive monsters in the ‘before combat’ phase (oh yeah, some cards have a ‘Before combat’ action, usually testing skills with adverse effects for failures that weaken you for the combat proper. However, there are also weapons and stuff that grant you Before combat actions too). The above cards are all pretty awesome! Combined with certain allies, you can often guarantee victory in the easier challenges before you have to go through the fight round proper. So what’s all this about levelling up? Well. 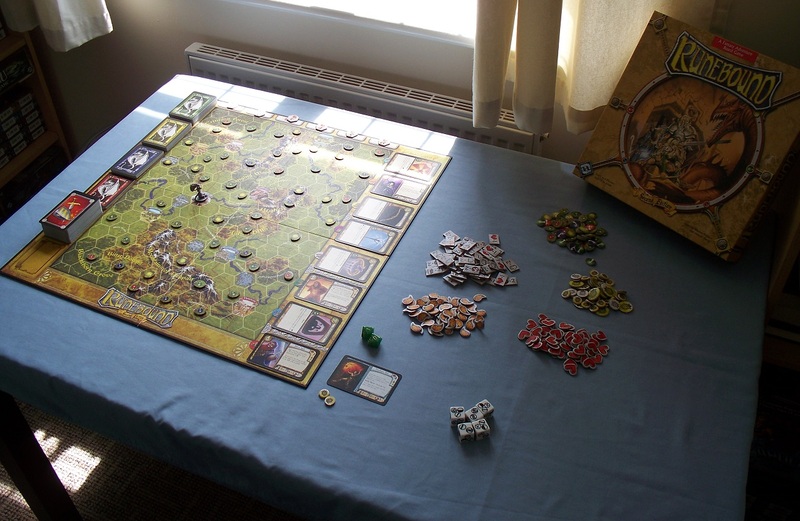 You may have noticed that the game board is littered with little cardboard tokens? These are the adventure counters, and show a space where you will encounter something. When you end your movement on one of these, you draw the appropriate colour of encounter card and go through the combat stuff as outlined earlier. If you succeed, in addition to the loot, you get to take that counter, and flip it over, where it becomes your experience point total from the encounter. 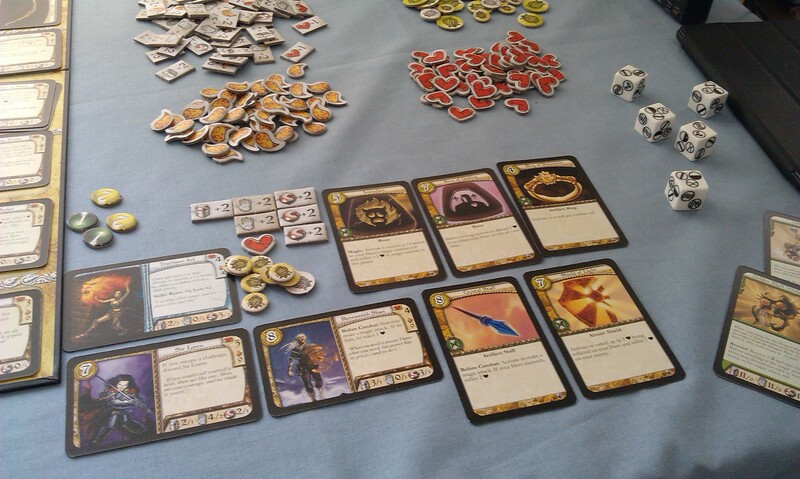 Some of the earlier pictures show Truthseer Kel with such tokens. When you get five XP, you can choose one of your attributes, or your life or exhaustion values, and take a corresponding token to level them up. (If you increase your life value by 1, you can no longer take on green challenges; increase it by two, and both green and yellow challenges are off-limits, etc). Runebound has been highly criticised in the past for this levelling mechanic, as it allows you to buff all of your attributes until you’re essentially generic. Furthermore, there’s no real in-built timer mechanism in the game, so you can essentially go through hours taking on green and yellow challenges, and levelling until all of your attributes are +20 or something, then just decimate the red deck and win. However, I have mentioned in the past (I think) being a theme-player, and personally I like to level only once or twice in the subsidiary attributes, focusing my main objective on increasing my main attribute. If I’m going to be a magic user, I’m gonna be one kickass wizard! 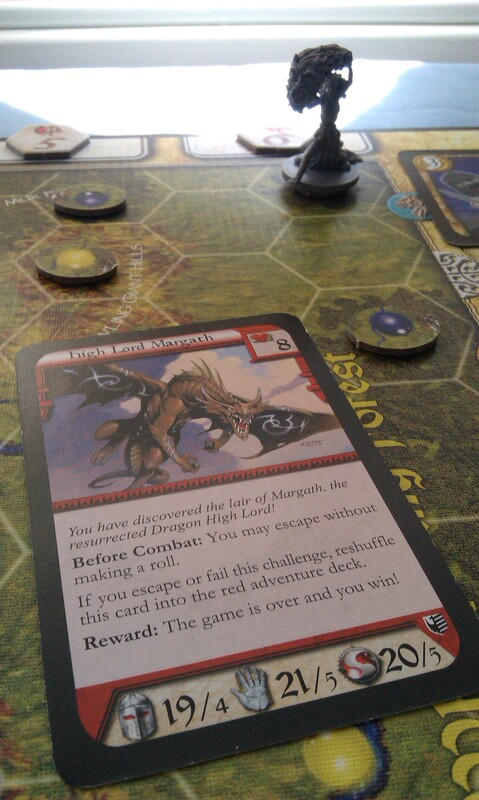 …and once there have been three red Dragon Lords – or Margath himself – defeated, the game ends! It’s an excellent game, the high fantasy setting and theme are just amazing. While it says it’s for 2-6 players, it is entirely possible to solo this game because, basically, it’s a race game. While there are rules for PvP combat, most players will be focused on the task at hand and attacking other players is largely unnecessary. As such, perhaps the greatest criticism of the game is the amount of downtime between turns. Two people playing is usually fine, three is possibly the biggest number you’ll ever want to play with. Simply because you take your entire turn in one go, so you move, you encounter etc without the other players doing anything. The more people you play with, the longer you’ll have to wait for your next turn, and it can make it quite boring. I played it once with four people and we quickly ended it by going for the higher coloured adventures just because it was dragging on so much. While a solo game might sound a bit dull, I have to say I find it really immersive, as you can really get into the RPG feel of the game, reading the flavour text on the cards, and really tell a story of your hero and the fight against Vorakesh and Margath. To this end, I have one or two house-rules to make the game more thematic, my particular favourite being that heroes can only level up in cities. Like they’ve gone there for training or something. The expansions for Runebound all add so much more to the game. I feel like I want to write more blogs on each one, so I won’t go into vast detail here, but suffice it to say, they’re awesome! Each big box changes the location, so we have an island (with sea travel! ), a desert, an ice world, and a jungle world. There is also the Midnight expansion, which is a sort of cross-over with the Midnight RPG setting – basically, evil has won, and you play sort of refugee heroes operating in the shadows. Of all the expansions, Midnight differs the most wildly, as it features one player against the others – the Night King. Consequently, it’s the most difficult to play solo, but I have done it a few times. There are all sorts of cool mechanics involved in this one, such as making sneak tests to get into the towns and whatnot. But like I said, I’ll probably cover each of these in future blogs, because I love them all so much! 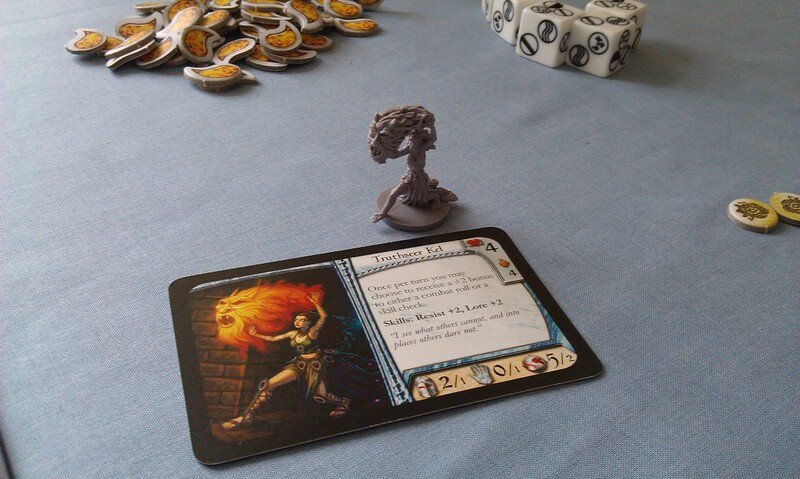 Runebound is quite simply my go-to fantasy game. No matter how often I play it, I always enjoy myself – even when playing with just the base game, as I did in order to write this blog. It’s tremendous fun, I only hope we haven’t seen the end of the game yet! Unfortunately, though, I feel that we have, in fact, seen the end of the Runebound game. For about two years now, people have been clamouring over on the official forums for a third edition, or just revised second edition. But I don’t really see anything happening there. Terrinoth is a Fantasy Flight Games creation, and they have set a number of their other games in the universe, notably Descent: Journeys in the Dark, but also Runewars, a sprawling war game; DungeonQuest, which has recently had a revised edition announcement; Rune Age, a deck building game that is another of my favourites, and most recently, BattleLore second edition. All of these games come emblazoned with ‘set in the Runebound universe’ on their boxes, but there has been no move to keep this ‘parent game’ in circulation. Furthermore, the new second edition of Descent, which has been expanding at a rate of knots since it was released in July 2012, has significantly moved the setting away from the tales of Vorakesh and the Dragon Lords. While some enemies persist, Descent has shown us new evils that have arisen, notably Zachareth. Runewars and BattleLore have shown us that Terrinoth is now faction-based (resurrecting the Battle Mist game), rather than hero-centric, and it would be difficult to imagine where a new version of Runebound would fit. Furthermore, in a more meta-based approach, games like Runebound have themselves begun to fade into legend. None of this subsequent paragraph is meant to sound elitist whatsoever, but unfortunately, it probably will anyway. 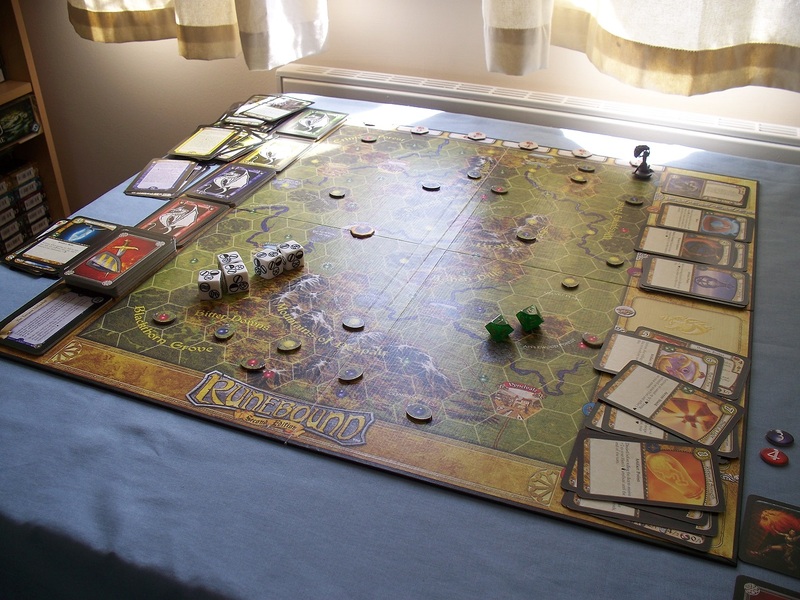 In the past, it was quite common for “serious” board games like Runebound, or Arkham Horror, to last between 2 and 4 hours. In recent years, there is a distinct move towards quickening the pace of such games, perhaps as gaming has become increasingly mainstream and to entice new faces who might be scared off by being around a table with bits of card for so long. While Arkham Horror’s recently arrived sibling Eldritch Horror has, on paper, the same playing time as the elder game, I find it does in fact play significantly quicker than AH. 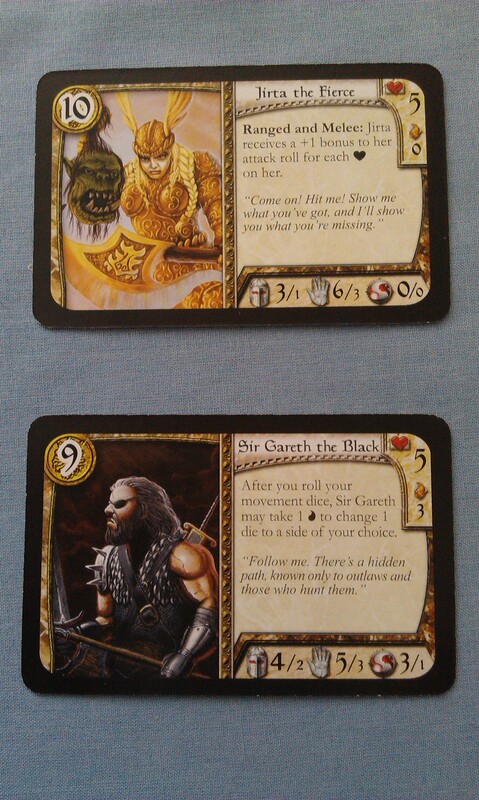 Battlelore plays in half the time of Runebound, etc etc etc. Perhaps, then, reflecting a trend in general for people to be less inclined to focus on one activity for such a length of time, board games are also shrinking their playing times, but unfortunately there isn’t (to my mind) any way to shrink Runebound down without significantly altering the game so as to be virtually unrecognisable. Perhaps, then, it is this reason that is preventing a new edition from coming. Hopefully I’ll be proven wrong, and there’ll be new Runebound for everyone to enjoy soon. It’s getting on for four years since there was last anything new for this game, though, and I do find it increasingly unlikely as time goes on. Next Next post: Smash Up!